Craftster Community > HOME SWEET HOME > Interior Decorating: Completed Projects (Moderator: LovelyMiss) > Dragon mural...obese with pics!!! 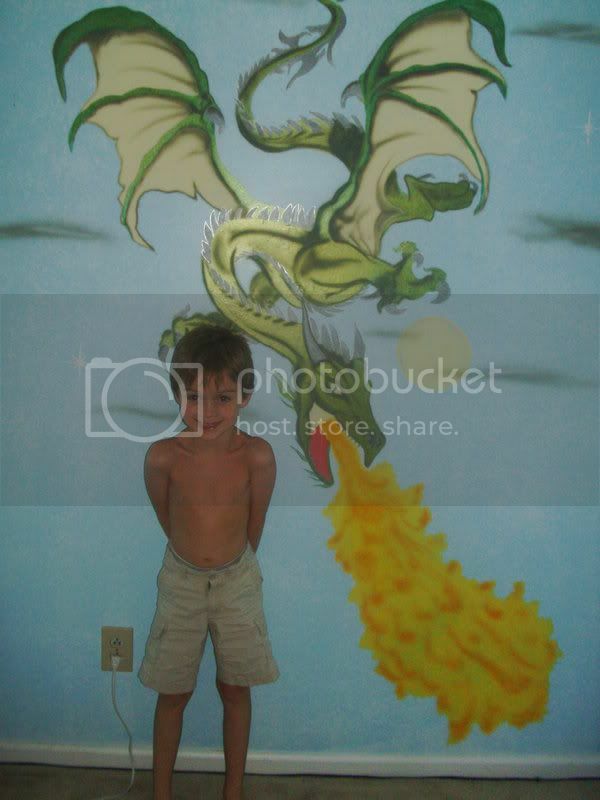 My 6 year old LOVES dragons and wanted a "dragon room" so we decided to paint a mural for him today. 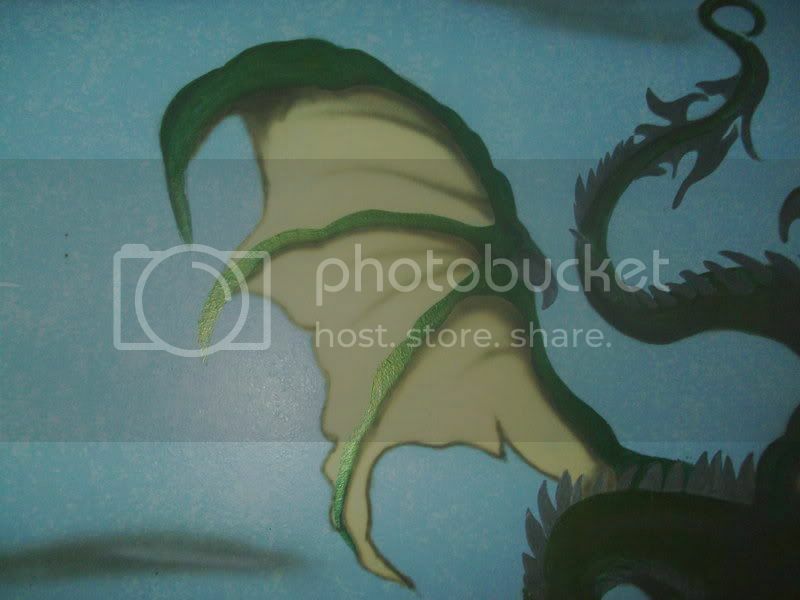 My mother and I drew and painted the dragon and my husband airbrushed all the fine little details. I think it kicks major booty and so does my son. Enjoy! 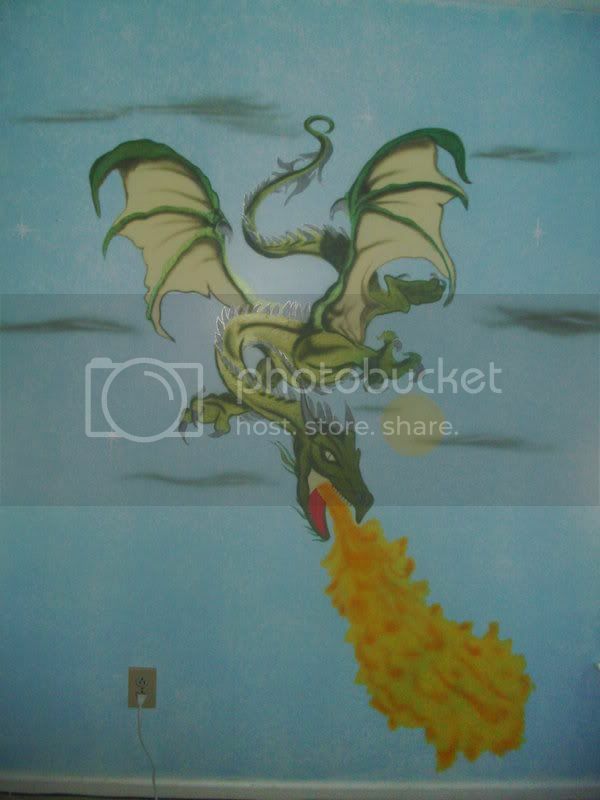 Re: Dragon mural...obese with pics!!! saaaaahhhweeeeeet!!! 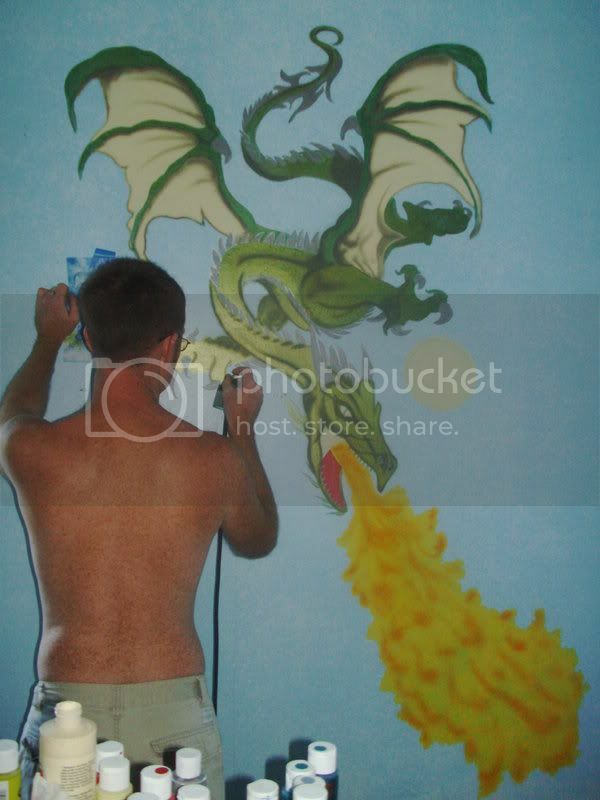 love dragons meself really nice job. I love how its kinda 3d, and how some parts are shiny! Reaaallly nice work! that is so awesome!! I'm doing a teen titan mural on my stepsons wall its taken forever! 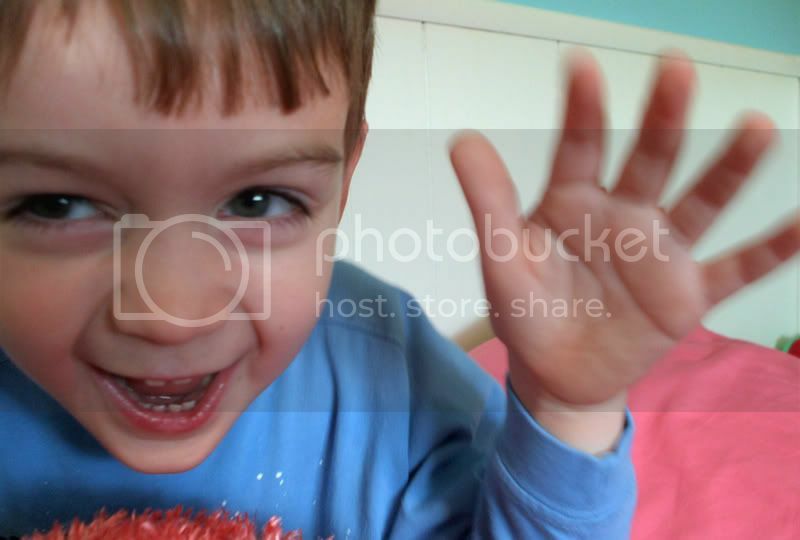 I absolutley love his last pic, so funny! Wow ... very cool and everyone helped out to make such a stunning dragon! AwW!! I saw this in "Most Recent With Pics" and I thought, "WOAH!! That kid looks just like A****!" Then I realized it IS him! Aweeesome rooom! He looks so happy. wow - that is some serious drawing and airbrushing skill. My Etsy: http://cooplet.etsy.com <<< SPECIAL OFFER!!! ^^ I like cute things! Lucky kid i wish my family wasn't artistically disabled!!! 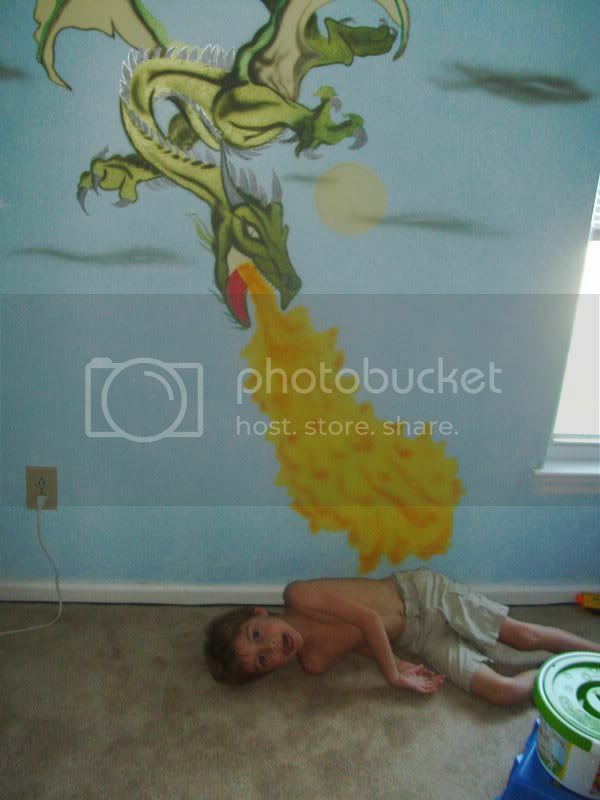 You guys did a great job, that dragon looks really kool.